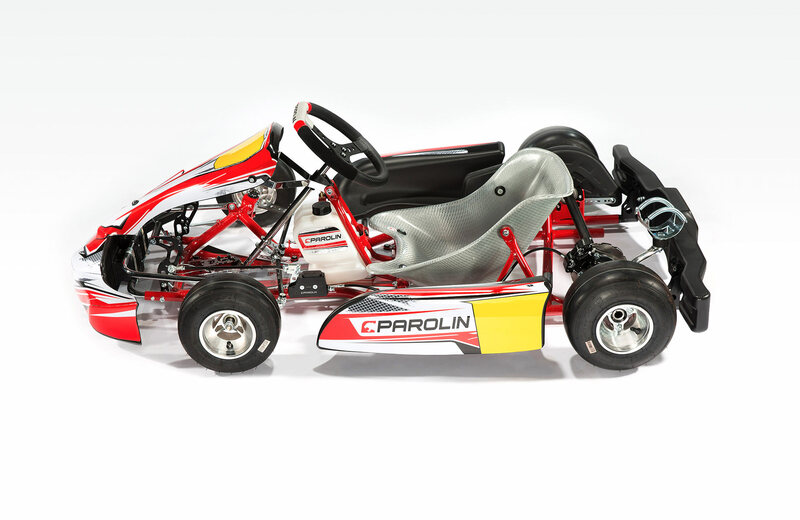 The Parolin young-aimed line of chassis is made of seamless special CrMo steel tubes of 28mm diameter. High-precision tube cutting and welding are performed using laser technology machines, while tube bending is processed through high-tech CNC machines. 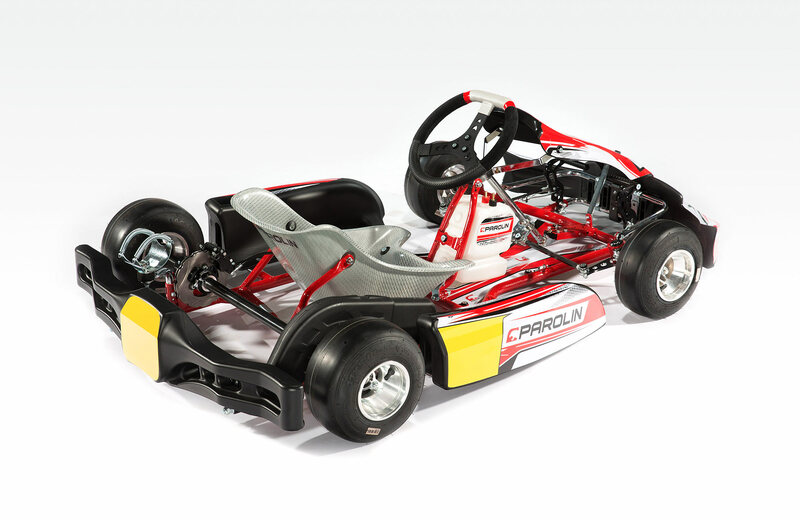 Chassis is available in two wheelbases, 900mm for Baby and 950mm for Mini and Cadets. 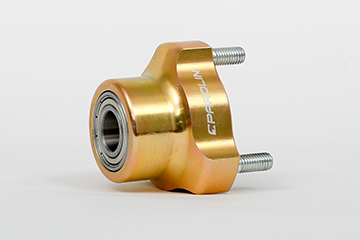 The 30mm rear axle is supported by two bearings, and it’s available in three different pipe compounds: soft, medium and hard. 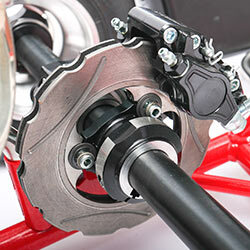 Wheels are 145/110, made of aluminium and heat-treated. 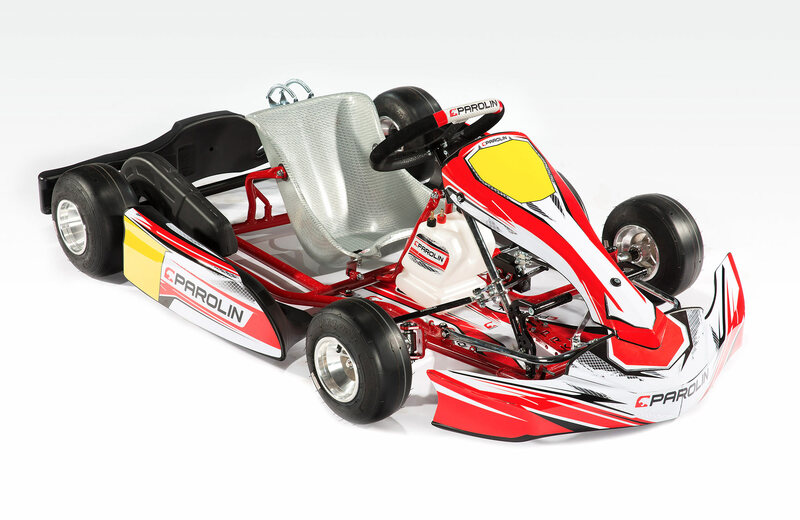 The new aerodynamic streamlined bodyworks Eurostar Mini are designed and produced within Parolin Racing Kart's facilities. 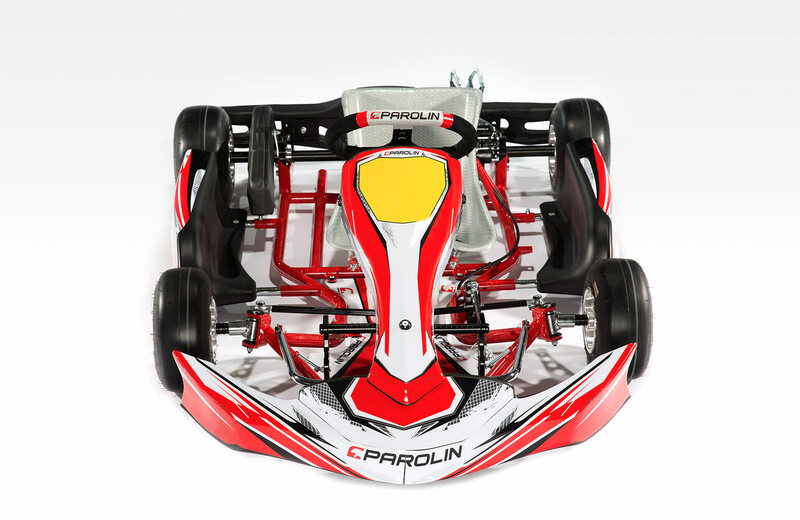 The chassis is powder coated in Parolin shiny red colour. 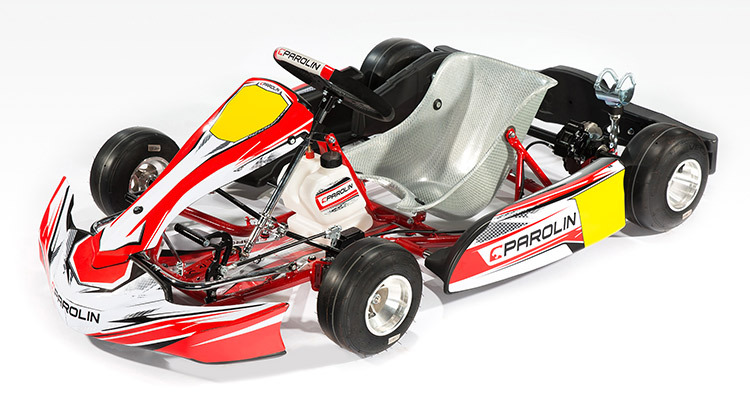 The Mini chassis is available in two versions: Basic, fitting the standard brake, and Motorsport, having a self-adjusting hydraulic brake system with radial fittings and equipped with top features. 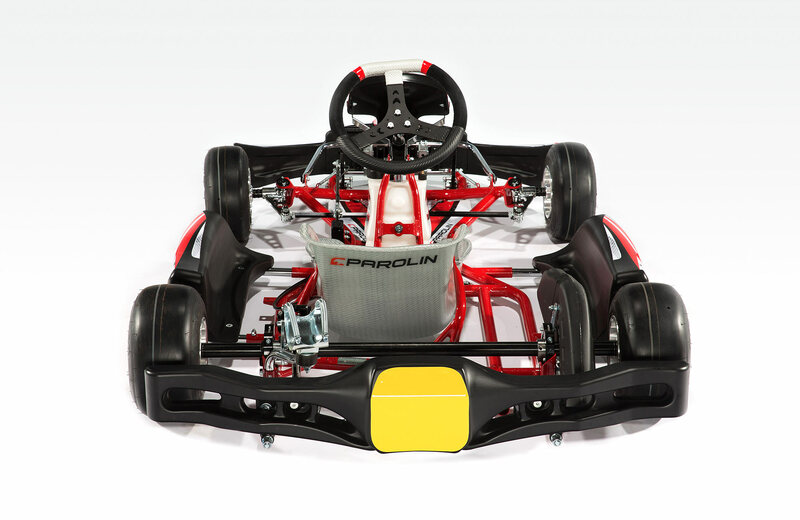 Innovative adjustment system that allows you to have more degrees for adjusting the front wheels. 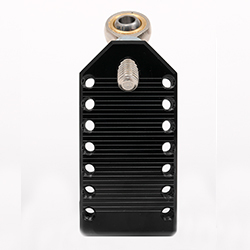 The magnesium increases the rigidity of the hubs, improves heat dissipation and reduces the weight of the rotating masses. 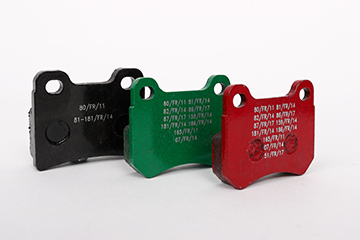 Three different types of brake pads to optimise braking depending on the driver's driving style. 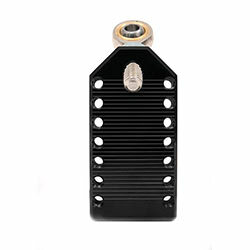 They reduce weight, improve heat dissipation and offer more possibilities for chassis setup. 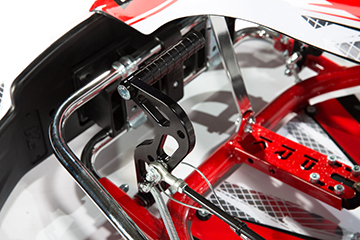 The steering column support includes an Ackermann angle adjustment system that allows it to be changed in a few simple steps. 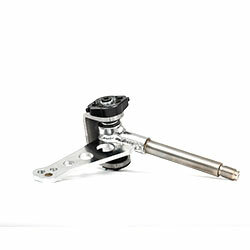 The caliper is made up of two half-shells machined from a solid piece using high precision CNC machines. The cast iron disc is floating and self-ventilated. 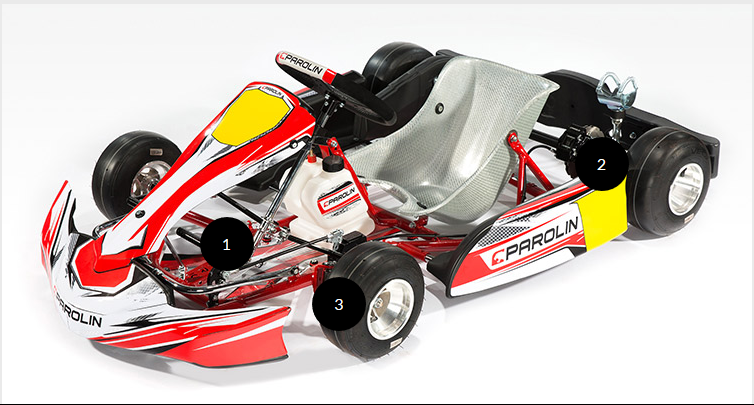 The system ensures excellent reliability and braking modulation. 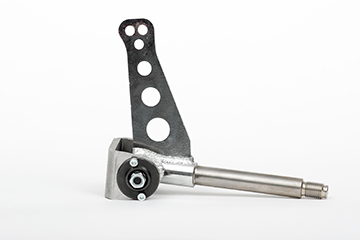 The stub axle has three adjustment holes for the attachment of the arms which allows the adjustment of the kart’s steering depending on the driver’s driving style.